This week I have been inspired by the art work of van gogh, I love his paintings and I wanted to see if i could find anything that slightly resembled one of my favourite paintings from him. I’ve searched and here is what I found. Previous Post What i bought last weekend. That playsuit and those heels are just stunning. I love your art inspired outfit posts- so interesting. I may have to try a few outfits based on my favourite prints. 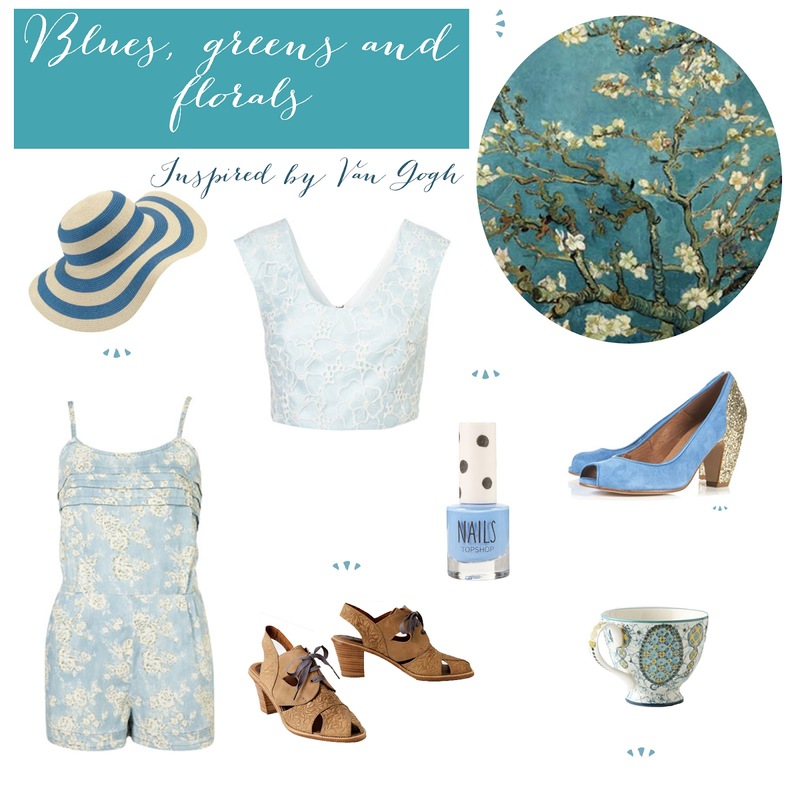 Ooh, I love all of the van gogh inspired items! gorgeous colours. I really want that hat.